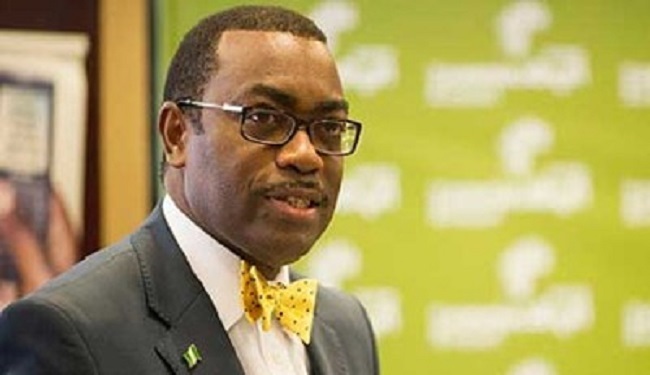 The President of the African Development Bank (AfDB), Akinwumi Adesina, announced on Friday, October 9 that the AfDB would nearly triple its annual climate financing to reach $5 billion a year by 2020. AfDB’s climate spending will increase to 40% of its total new investments by 2020. Half of the $5 billion will be dedicated to reducing Africa’s greenhouse gas emissions by unlocking Africa’s enormous potential for renewable energy, especially solar, hydro, wind and geothermal power. The AfDB will also work with its clients to improve energy efficiency and build sustainable transport systems. The other half of the $5 billion will help African economies adapt to climate change through measures such as investing in climate-resilient crops, building sustainable infrastructure and improving irrigation and access to water. To this end, the Bank will also be integrating climate resilience into all of the infrastructure projects it finances. The African Development Bank has committed almost $7 billion to support climate-resilient and low-carbon development in Africa in the past four years. Its energy investments last year will deliver power that is 90% generated from renewable sources. The AfDB also supports the Africa Renewable Energy Initiative and the Africa Adaptation Initiative, both endorsed by the African Union heads of state and government. As well as increasing its own climate financing, the AfDB will pursue public and private co-financing opportunities. The Bank will be seeking, for instance, to mobilise concessional financing from the Green Climate Fund. It will also issue more green bonds as a way of funding its climate investments. “The current climate financing architecture is not providing the finance Africa needs,” Adesina said. “Much more needs to be done to increase Africa’s access to climate finance”. The Bank’s announcement reflects the high priority it places on addressing climate change in its Ten Year Strategy 2013-2022, as well as massive new support for the energy sector. Soon after Adesina became President in September, the Bank unveiled the New Deal on Energy for Africa. The landmark initiative aims to solve Africa’s huge energy deficit by 2025, and to spur economic growth that will enhance Africa’s capacity to adapt to climate change. Developed countries have committed to mobilising $100 billion a year from 2020 in climate finance for developing countries. In Paris in December, the international community is expected to finalise a new global climate agreement and decide how to finance it, at the Conference of the Parties to the United Nations Framework Convention on Climate Change (COP21).